Our checks and balances have broken down. It’s time to rein in the national security complex. Revelations of the sweeping collection of data on Americans by the National Security Agency (NSA) require that Congress launch a grand inquest into the post-9/11 national security state. Special committees in both the House and the Senate, armed with subpoena power, should investigate the scope of activities, the legal basis claimed, the operational structure and the abuses and excesses with a public weighing of costs and benefits. The “war on terrorism” has gone on for twelve years, and while President Obama says it must end sometime, there is no end in sight. Secret bureaucracies armed with secret powers and emboldened by the claim of defending the nation have proliferated and expanded. The surprise of legislators at the scope of NSA surveillance shows that checks and balances have broken down. 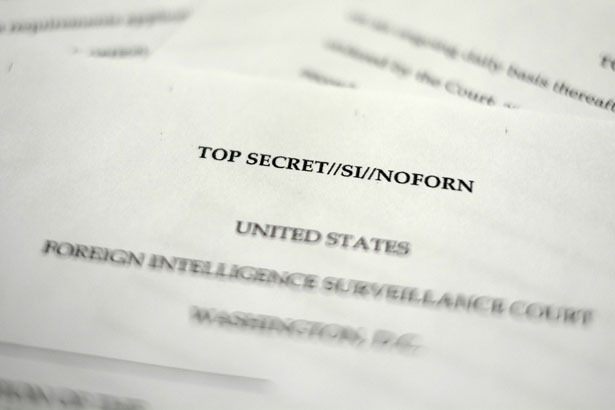 We now know that the NSA, apparently acting under the secret orders of the court established by the Foreign Intelligence Surveillance Act (FISA), amassed phone records of and private information about Americans, drawing data from phone companies. These records admittedly give the NSA the ability to track the associations and the activities of anyone whom the agency chooses to target.